I also started volunteering at a 501(c)3 non-profit that specializes in research in electric universe theory. The non-profit is called The Thunderbolts Project. I will post a link to my work if and when it’s published. In the mean time, I highly recommend one of their documentaries. Truly it doesn’t get much nerdier than this but the more I research electric universe theory the better it explains universal cosmic phenomena like black holes, neutron stars, etc. It also helps root some of the universal symbols in human culture in a more understandable way. The project doesn’t just dabble in the ultra-geeky spacy stuff, but there is a fair amount of mythology, anthropology mixed in as well which makes the videos palatable for guys like me, and hopefully you as well! Go on, watch, you know you want to. Search engines. We need them, we use them everyday. I do not use Google search, or at least I avoid it as much as possible. Why? I do not like the idea of all my searches being logged and used to target advertising at me. Furthermore, Google and YouTube force users to make accounts in order to make comments and use some of their services. However, I don’t want my searches to be tied to a username. I do not want this because I am providing free information about myself to them without much choice. They can in turn sell this collected digital information or use it to target products to me, which I am not a big fan of. The bottom line is that I do not trust Google with my information. But, is there an alternative to this? After all, Google is really a powerhouse when it comes to information services. Yes, there is. I have found DuckDuckGo to be the best alternative to Google Search. DuckDuckGo promises to not track or log user information. I have found it to be a transparent and effective alternative to Google. The searches are very good and I almost never use Google search anymore. Occasionally I will need to Google something but DDG does a very good job of web-searching. But, what about Google Maps? This one is a little trickier. For starters, there aren’t many companies with the shear power to take a picture of just about every street in the US like Google Street View. Google Street View can actually be very handy when you need to see a real photo of a destination that you may have never been to. Is there a good alternative to Google Maps? You know, something that will work on Android, online, and iOS? I think OpenStreetMaps is probably the top contender. Yes, OpenStreetMap can provide turn-by-turn GPS directions just like Google Maps can. It is also available online. The even cooler part is that it is a open/collaborative project, meaning any user is free to edit it. This is similar to how Wikipedia functions. The downside is that some addresses are not in the database yet. Frequently I have found that my home addresses are not there. This can functionally be worked around in GPS directions because the street I’m on is always on the map, meaning I can always just navigate from the street I’m on to the destination. But it is not as polished as Google Maps yet. The Android OpenStreetMap app is pretty solid in my opinion. It also allows users to download maps for offline use, perfect for rural areas which may not have the best cellular service when you need the maps most! Cause let’s face it, maps are way more fun when you’re hopelessly lost, right? Overall, I recommend trying both of these applications/services because they are great alternatives to Google and will not target you for advertisements and they have better privacy policies. Merry Christmas from jwolfgang.info. Happy New Years as well. Lately I have circled back to looking at how manufacturing principles, process-focused learning, Zen and Japanese culture all come together. It is really hard for me to pin down an exact name for how all these concepts meet at a crux, but as I take the DevOps course through the Linux Foundation, I see so many recurring themes from other literature that focuses on producing “great works” or “excellent results” whether it is high-quality cars, personal development, software, or teaching others. The easiest way to describe this idea is to call it “process-focused” instead of “product-focused.” The main idea behind this idea is that in order to produce great results in any field, one has to release the idea of succeeding all-together and instead try to produce a continuous series of momentary successes and failures. In addition, the underlying principle of process-focus is that failures are not to be feared at all, and that they should be sought out. So all in all, I think that the same ideas that make businesses successful are the same ones that people can apply to their everyday lives. I see how hyper-successful businesses like Amazon or Google utilize these ideas for their own goals. They use iterated approaches to development, they stress-test their systems and push everything to failure. They love failure, and that is why they have succeeded. Why shouldn’t average people use these ideas to improve their lives?! Zen and Japanese Culture (not-free, but cheap)- Explores how Japan has put it’s own spin on Indian Buddhism to form a religion that pervades almost all aspects of both the Japanese mind. Also explores Japan’s influences on Western culture and offers compelling criticism of the Western tendency to over-intellectualize. Introduction to DevOps (Linux Foundation) (free!) – This course explores how software companies successfully launch software and what DevOps is. I am not done with the course, but it follows a similar train of thinking as the other works but applies it to successful IT/software launches. A better furnace? A look at woodburners, rocket mass heaters, and waste oil burners. Recently I’ve been at the cabin. As the November chill sets in, I load up the wood-burner a couple times a day. I am left wondering, though, as I put in log after log, whether our old woodburner is as efficient as it could be. After all, it is basically just a cube of steel and a fan…is there a better way to heat the house, or a more efficient way? Maybe there was even a way to use a different fuel altogether? After changing oil on cars for several years up here, we’ve accumulated a lot of drain oil, maybe that could be used? This was my question: is there a better way to heat a home than using a Jensen 24a (a very popular and time tested) wood-burner? It did not take long before I found a very novel way of maximizing the efficiency of a wood-burner. This solution is called a rocket-mass heater. The rocket mass-heater counters the problem of losing heat out of the chimney. The rocket-mass heater remedies this by directing the chimney horizontally through a mass of energy-absorbing material called “cob” (according to rocket-mass heater proponent Paul Wheaton, it is very similar to adobe). Here is a rocket mass heater inside a cabin. As you can see, the cob heat absorbing material can double as a heated wrap-around couch. The advantages to rocket-mass heaters include increased burning efficiency and less heat being released through the chimney. The cob material also has the advantage of retaining heat after the fire goes out. Waking up to a cold house in the morning is a common problem with wood-burning stoves that are not tended through the night. How do they work? What makes a rocket mass stove a rocket mass stove? Well, three components differentiate it from a conventional stove. First, a “j-shaped” tube ensures greater combustion of wood, a steel barrel acts as a radiator for heat, and a masonry bench acts as a heat retainer as exhaust gases pass through it. The digram below gives a basic example of the heating method. There is a lot of literature on the market that shows how to build the furnaces. There is less scientific literature, in fact the only article I could find is here. However, their popularity and growth is a testament to the effectiveness. Well, it looks like rocket-mass heaters are a definite contender in the best home heating method. Their efficient, they burn clean, and they can be downright stylish. But there is another contender in the running: the waste oil burner! The waste oil burner is basically the rocket-mass heaters evil twin. It is pretty filthy and seems dangerous even. It burns the drain oil from automobiles in a very “I don’t give a damn” manner. What good could it possibly be? Well, let’s give it a chance and investigate. Well, if you’re like me, you have a lot of drain oil from cars laying around the property that you have been avoiding taking to the recyclers. It turns out this is not such a bad thing. Why? Well, you are sitting on a small fortune of black gold, that’s why! This liquid can be used to power an inexpensive furnace to heat garages, barns, pools, spas, and even homes. Waste oil burners can be made cheaply from 55-gallon drums or 40 gal propane tanks. Though designs can vary, many use compressed air powered spray nozzles to atomize the liquid that can then be lit aflame. They seem to be popular in New Zealand where heating costs are high. As a matter of fact, pre-fabricated burning units can be bought from dripfedwasteoilheating.com, a New Zealand based website. Below is a good example of a waste oil burner on tape. Note the high temperature of 900 °F and awesome accent! This model also has very low smoke output out of the chimney. This type of furnace offers a few advantages over the rocket-mass heaters. First, the fuel can be found free. I suppose the same can be said for firewood, but waste oil is almost always free on craigslist and is very common. The build time for a furnace like this would also be less in my estimation. The obvious disadvantage to this type of furnace is safety. Oil has inherent dangers that firewood does not. Not only this, but oil also poses cleanliness challenges that make it less attractive as an in-home option. It can be done, but would require more care and precaution. After all, it is easier to clean a spilled bucket of firewood than a spilled bucket of oil! This $24 Delevan nozzle is a popular choice in building a waste-oil burning furnace. This is just one necessary component to the furnace. Click the image to access this eBay item. 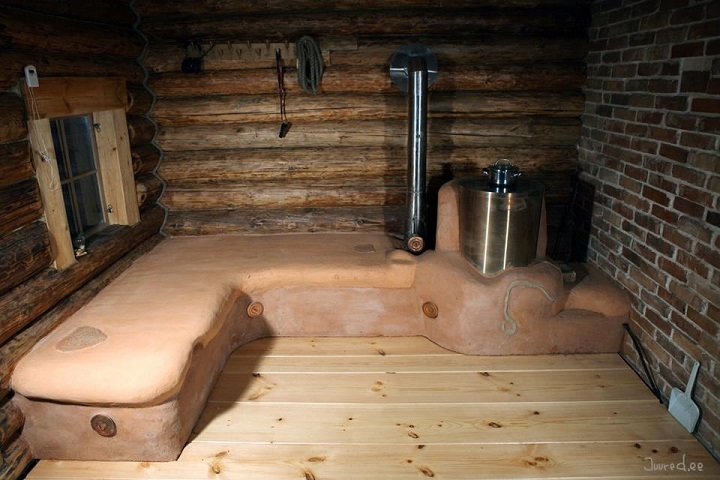 However, waste oil burners are an attractive option for garages, barns, hunting sheds, and so on. Maybe these two designs could be hybridized in some way. 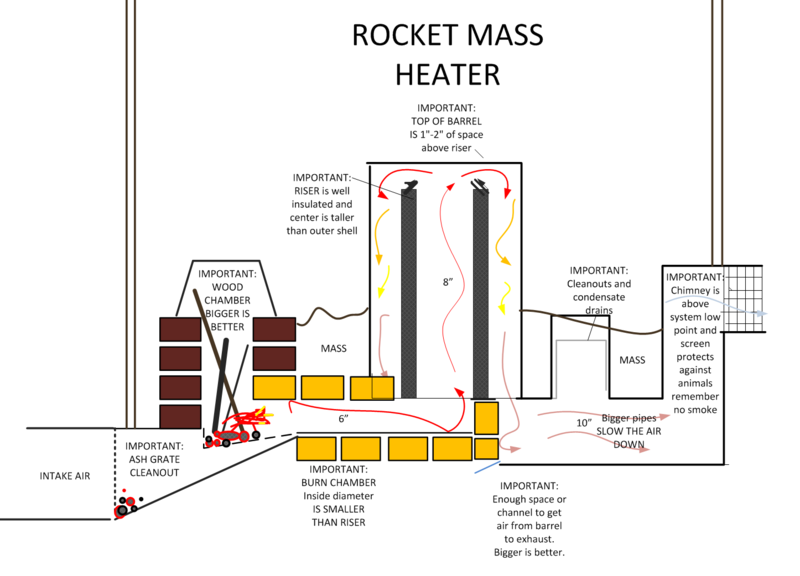 It seems like adding a masonry component to the waste-oil burner would make it safer (user is less likely to touch the extremely hot metal) as well as offer the advantage of heat holding capacity that the rocket-mass heater has. It is hard to say which technology is better because they seem to differ in their best application. Both are low-cost, innovative designs that offer users inexpensive heat. In case you haven’t heard, this week was startup week in WI. Because it was such a state-wide ordeal, I wanted to share my experience with it. In fact, I never even heard of startup week until a saw a link on Digital Fertilizer, northeast Wisconsin’s online hub of startup goodies. I recommend checking them out. The first event I attended was on Tuesday — a presentation by local entrepreneur Mark Hackl. 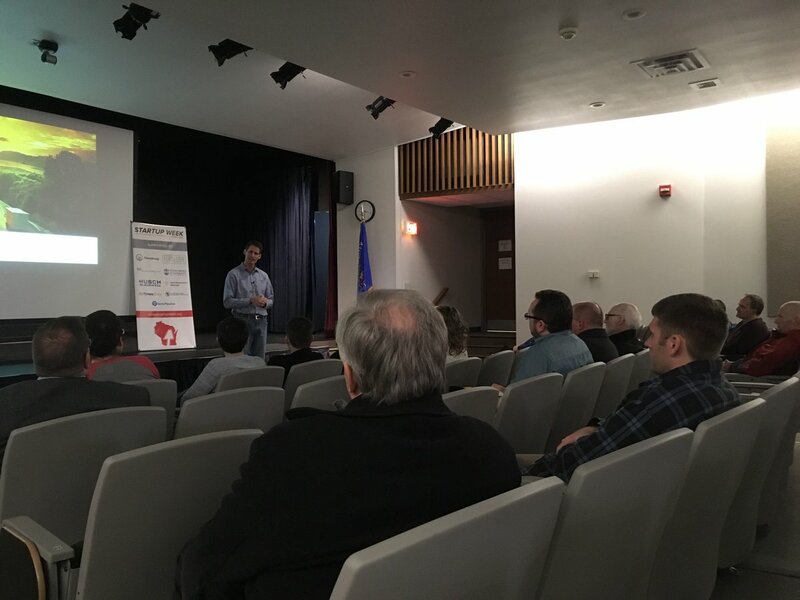 He is the owner and founder of LaneHub, The event was hosted in the Brown County Public library, which has a surprisingly up-to-date basement auditorium. I walked in at 5:30 PM. To my dismay, it seemed like everyone knew each other. I did what any wannabe entrepreneur would do: sat down, pretended to be waiting for someone, and acted intelligent. Mark Hackl giving the prez’. I can be seen sporting a flannel in the back row. Photo courtesy of Digital Fertilizer. Mr. Hackl talked about his experience in the shipping biz, the pulp and paper industry, and IT. He talked about how “you have to be a little nutty to start your own business” and how “you have to love what you do” in order to get anywhere in the startup world. Afterwards, there was a keg of beer and a tour of a new library maker-space and an under-construction entrepreneur/community space called Rise and Grind. I met a few interesting characters, some people with small businesses, and a few aspiring career-folk. Overall it was worth it for anyone interested in the Green Bay Startup scene. It was fun and casual, no boring suit-speeches about statistics. It was a success in my mind. Wednesday was a little wonkier. For starters, I showed up a day early to an event. The event was at Titletown Brewery, and I walked into the brewery thinking I was going to an event called “The Entrepreneur’s Saboteur.” Turns out I was one myself by not knowing where I was going. I walked into a meeting I wasn’t invited to! No one was really mad or anything. We realized I was in the wrong place. However, while I was walking out, one of the gents stopped and talked to me for a little while. It turns out he was the owner of Titletown Brewery! We had some good small talk about how both our names are very polish and I got his business card. So it was not a total loss to show up for the wrong event I suppose. This kind of serendipity only happens during a week like startup week! I then headed over to HeadWay for Wednesday’s actual event. It was a presentation about a book called Sprint: How to Solve Big Problems and Test New Ideas in Just Five Days and it’s application in User Experience. The presentation was again pretty casual. There were much fewer people at this one than the previous library event. The main idea behind the book is that 5 days of focused, coordinated team-work can be more valuable than longer periods of distracted work. Or doing a project in the middle of other projects. The next few events I did not attend, I had enough fodder for thought to hold me over for a while. There is one more event tonight called Open Mic Storytelling: Stories of Failure and Survival that I may attend, and that will wrap up the week. UPDATE: I did not go to the last event. It is freezing rain up here in NE WI and road conditions are not good enough to make it to the last event. Well, this page is an “experimental” page after all. These experiments can include chickens. So far they are pretty good. They are actually pretty low maintenance and are kind’ve funny. I’ve heard people say chickens have personalities and can see what they mean now. One of them thinks she owns the place. Another cool thing about them is that they are certified organic. I did not necessarily need this, but the farmer I bought from is certified, so if were inclined I could have the eggs certified organic. It is not really worth it to me right now. Here is a photo of two of them. They don’t really like to leave the barn. They are Rhode Island Reds. In other news… we are stacking wood for winter. One cord is stacked! I have reached a plateau. After several months of flying through material, creating the website, getting through basic algorithms and basic front-end development on FreeCodeCamp.org, I have reached a rut. It is as though I have hit a wall. I will break through soon though. So stay tuned for more additions/modifications to the website and more updates. After a lot of searching, I think I found what I was looking for: an online coding camp that was both free and worthwhile. It is called FreeCodeCamp.org. This website is created by a guy named Quincy Larson. The code camp (which takes about 9-12 months) is entirely free. It is community supported and run as a non-profit. I actually tried to take FlatIron’s free trial but could not get their software to run properly on my computer. Their customer service was not great either and they ask a lot of strange permissions when linking your GitHub account. I do not really plan on making a huge career switch out of this, but apparently a lot of members have gotten jobs by completing about 1/3 of the course (about 475 hours of work). 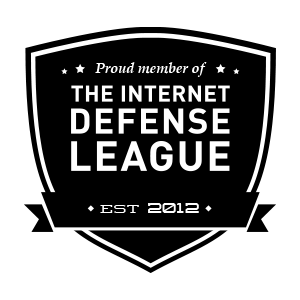 I have looked at their portfolios and and GitHub accounts to verify their work. I completed the first few modules of FreeCodeCamp (FCC) and could not be happier with it. I am currently stuck on a problem so I figured I would take this break time to share this website with others. In addition, I think a program like this is just the beginning of a lot of online academies that will be coming. With University prices escalating to ridiculous heights, free applied camps like this are bound to catch on fast.